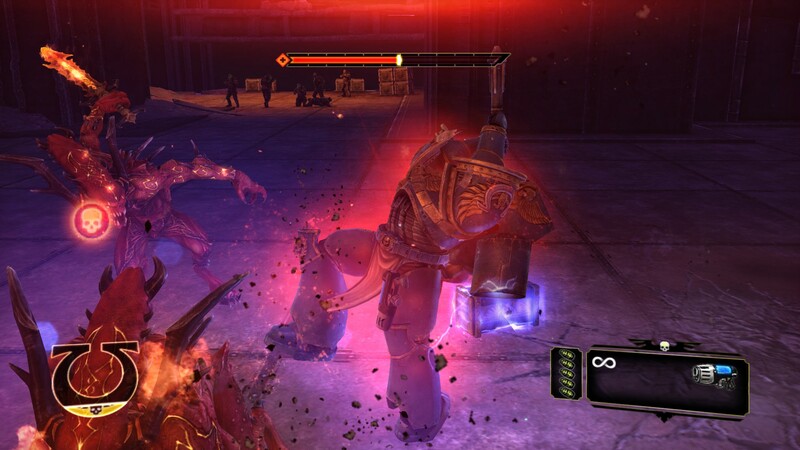 An almost decade long partnership between THQ and Games Workshop produced some great games in the Warhammer 40k universe, starting with the mildly accepted Firewarrior back in 2003, moving on to Dawn of War in 2004 and several expansion packs, sequels and even handheld games up until 2011. 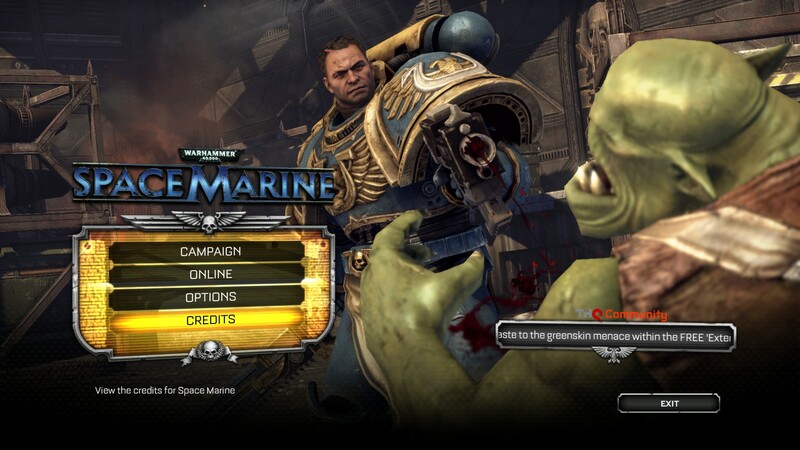 Now we are faced with Space Marine, a third person action game that promises a lot of action, blood and Ork slaying. Will the Emperor be pleased? 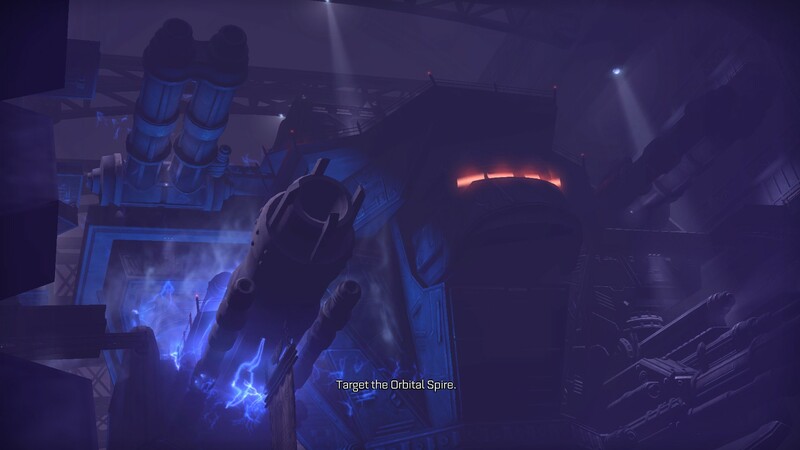 Imperial Forge World, a planet dedicated to production of war equipment and machines, is under attack by Orks and making matters worse both devastating Titan war machines and a new experimental weapon are stored there. 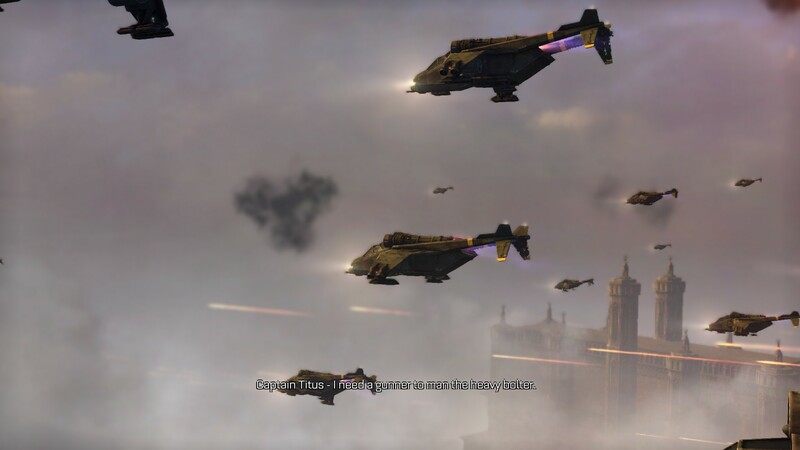 Tactical computers calculated that the best course of action is to send in a Liberation fleet but have someone buy them time so they can fully mobilize and thus Ultramarines under the command of captain Titus are sent into action. Sounds a bit confusing? 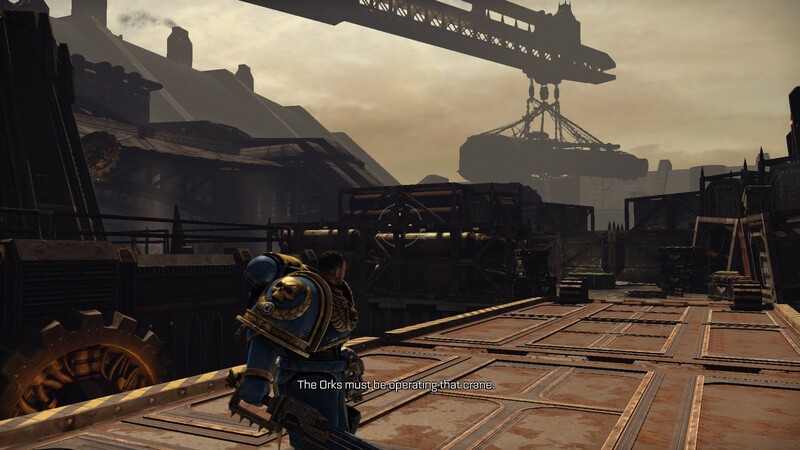 That is because the amount of Warhammer 40k lore embedded into the game has its ups and downs. 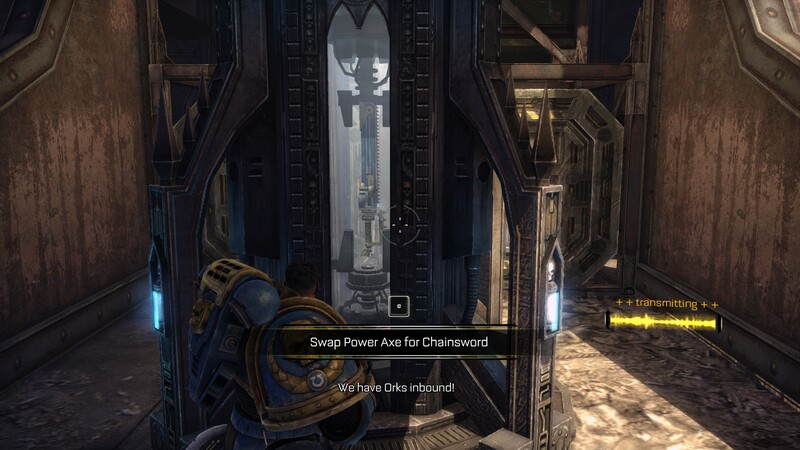 On the plus side, if rich Sci-Fi settings are your thing you might be willing to explore the Warhammer 40k universe further than this game and of course if you are already a fan you will like many references and lingo. 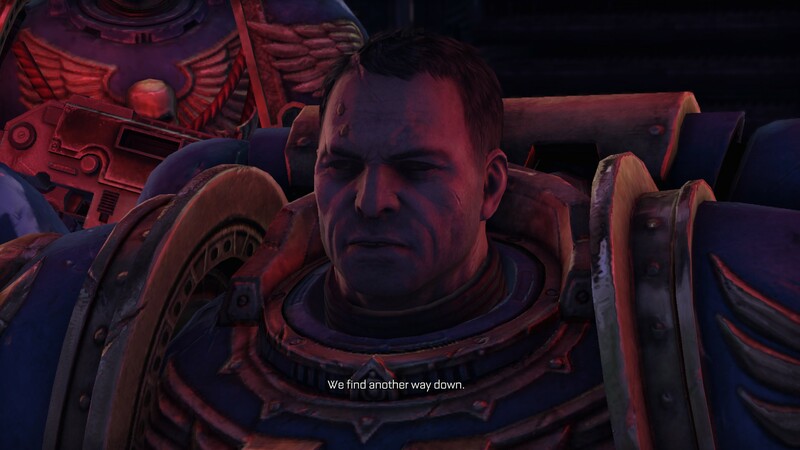 On the down side if you are not willing to explore the lore then those same references and lingo might detach you from the experience as you might not understand why are Marines fanatically against Chaos and who the hell are Blood Ravens. Mommy, daddy, I want THAT one! The games story and plot are decent if not a bit too safe. 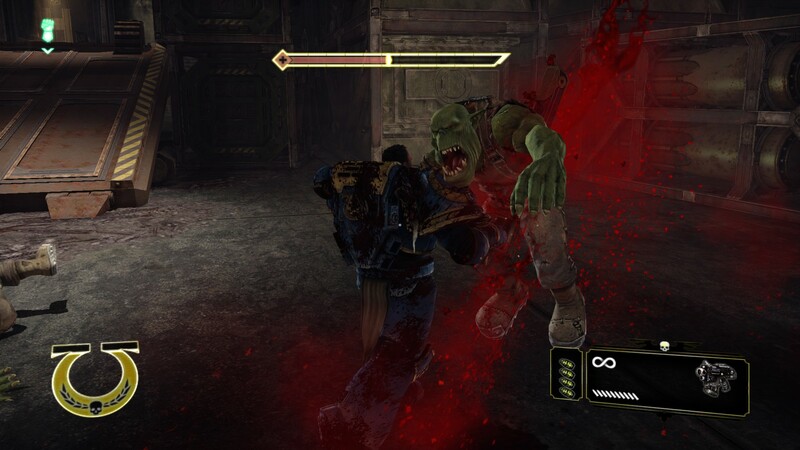 You have all the classic elements like Orks, Chaos, Space Marines and puny Imperial Guards but moments that try to convey emotions are rare and brushed over – these elements are simply hinted at but never fully explored. There is one additional side element of the story in form of collectable audio logs of numerous personas that left them behind. Seeing as how these are just collectables they are not important but serve as additional information and exposition. 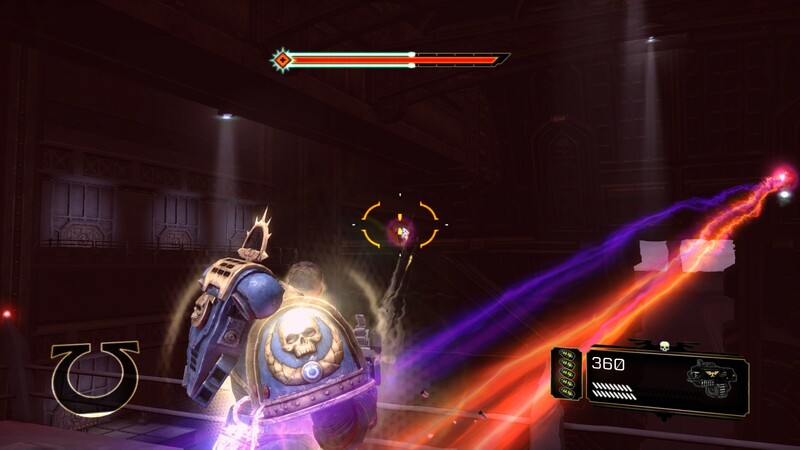 At its core Space Marine is a third person action game where you spend equal parts swashing and bludgeoning enemies with melee weapons and giving them lead and plasma poisoning with your ranged weapons. 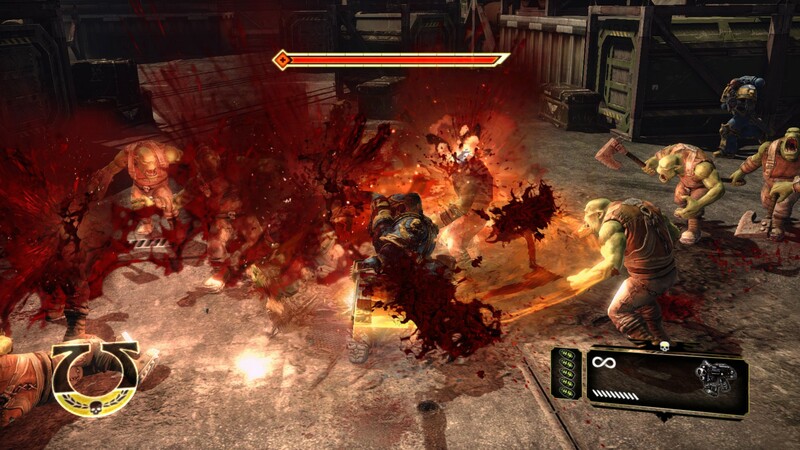 Combat system is fairly simple but flows very fluidly. 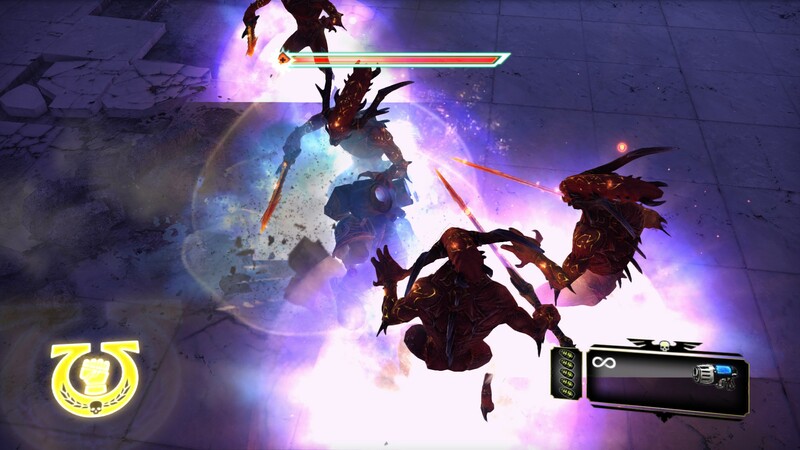 At any time you can use your left and right mouse buttons for ranged and melee attacks respectively and on top of all this you can dodge, zoom, throw grenades and stun opponents. 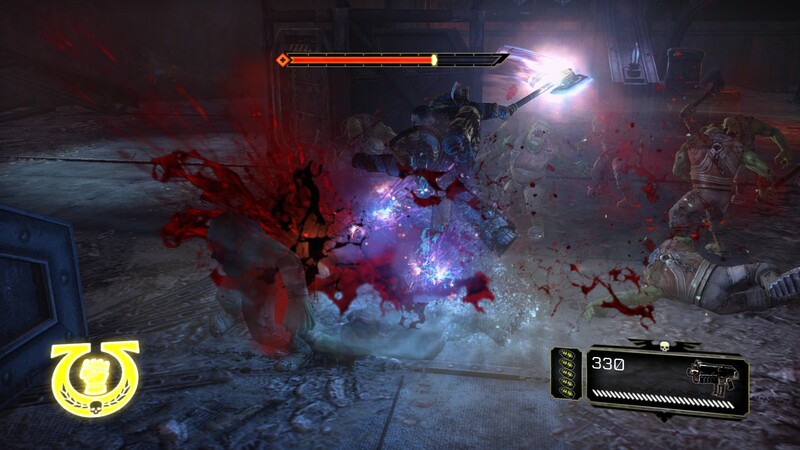 While ranged weapons function as you expect them to, melee weapons support simple combos that allow a bit of experimentation. 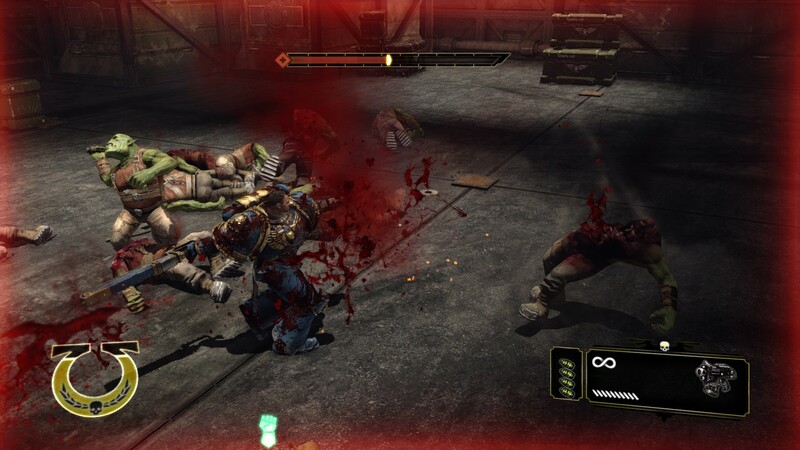 For example every melee weapon functions differently (some are good for crowd control, others are simply faster etc.) 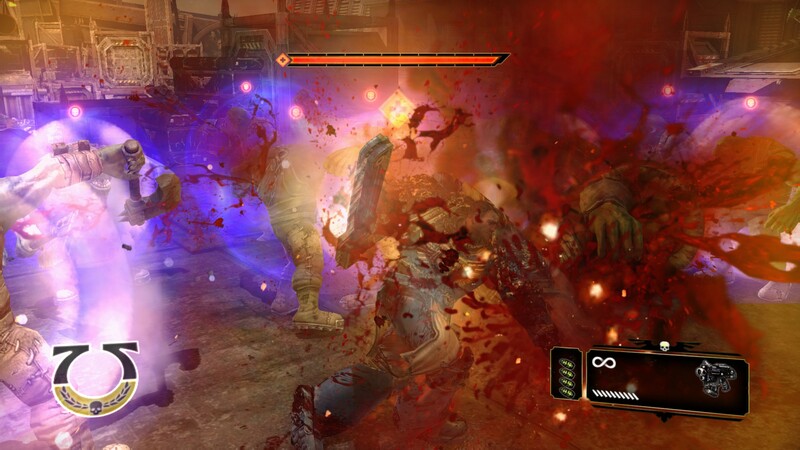 and using the stun button at different moments in combos yields different results. 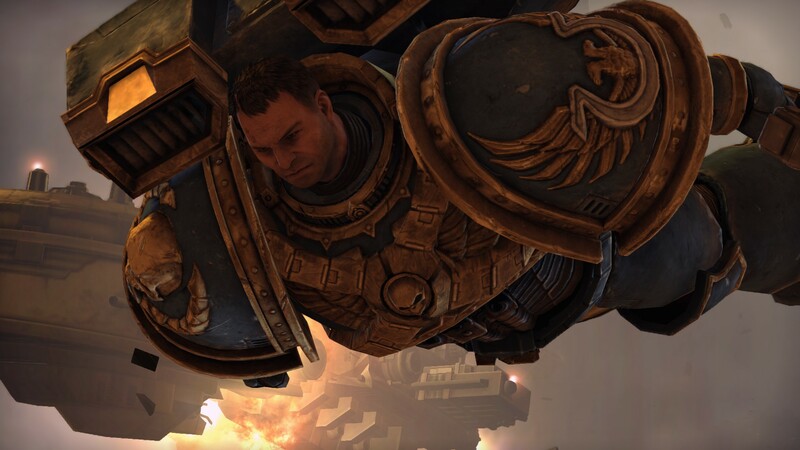 Who said Space Marines couldn't fly? 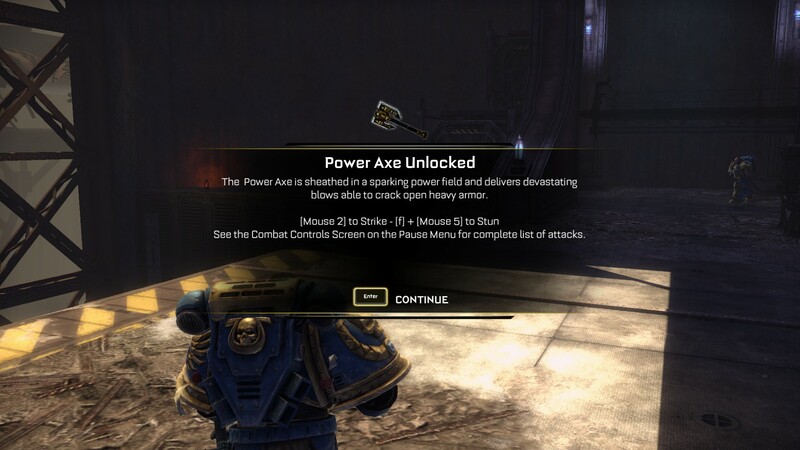 Weapon arsenal is progressively upgraded through the game and it’s quite decent in total. 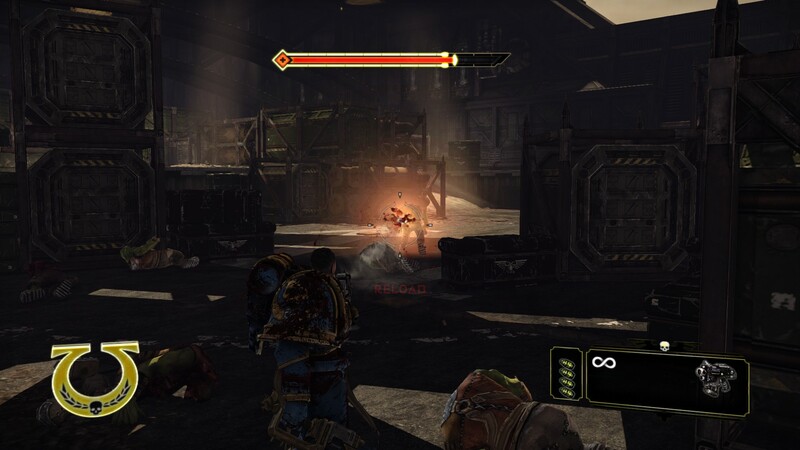 You are allowed to carry up to 4 ranged weapons and one melee weapon and you can swap them as you please on designated places. 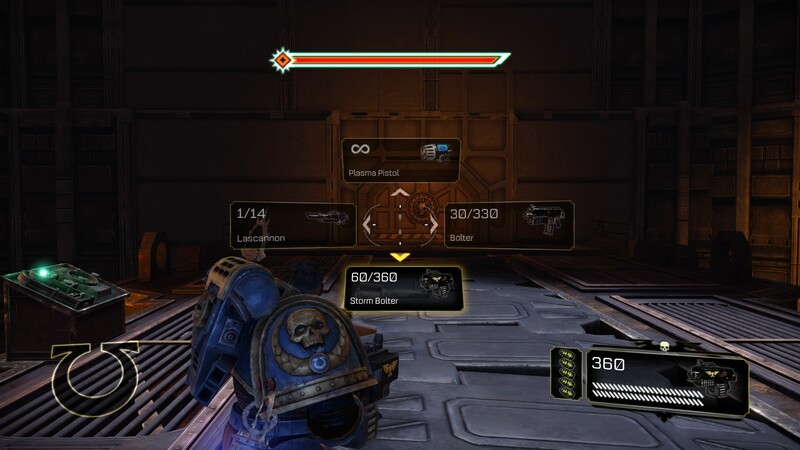 This means that you can play the game the way you want to and focus either on close combat, strong but slower weapons, weapons that use bullets or plasma etc. 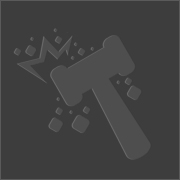 By far the most unique the arsenal has to offer is any combination of ranged weapons coupled with the two handed hammer – you are limited to only two ranged weapons by doing so but dear god does the hammer rock. 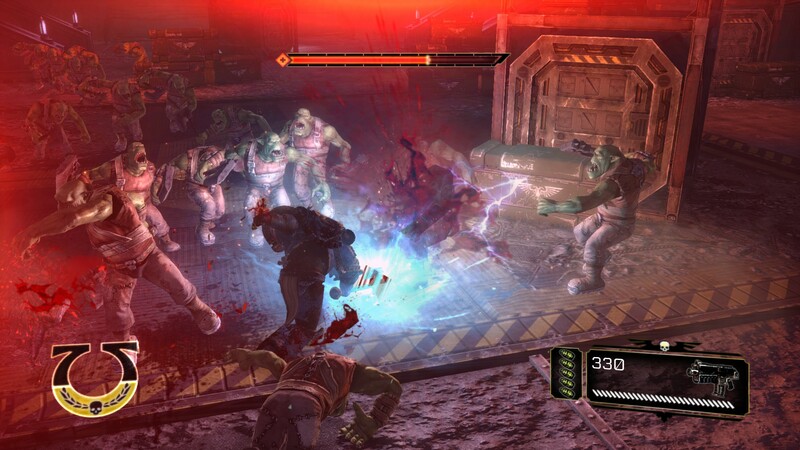 Grenades function as you expect them to but the fury can be a very tactical tool. As you battle enemies a fury bar is slowly filled. Once it is filled completely you can turn on furry which temporarily gives you large boost to your melee skills and health regeneration. It should be noted that this doesn’t turn on any kind of god mode, you can still be killed and it’s not one of those things you will constantly be able to use. 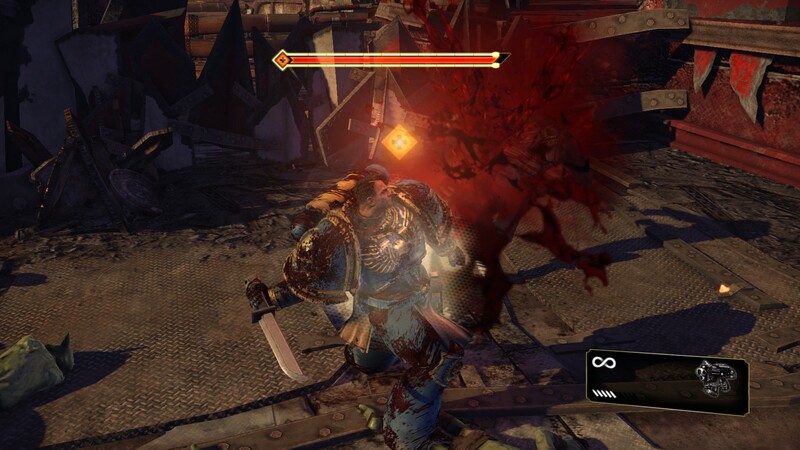 There are several more things to mention when it comes to combat. For once, there is no cover system in the game which makes battles very fast and frantic. If you want to take cover from enemy gun fire, and you will, you will have to seek protection by positioning yourself behind natural cover. 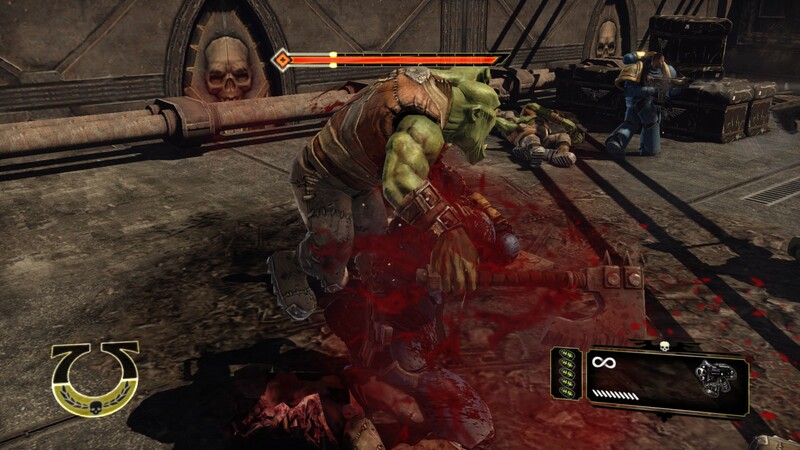 There are no health pickups in the game so, despite shield recharging after combat, you will have to fill up your health either by using fury or by performing finishers on stunned enemies. 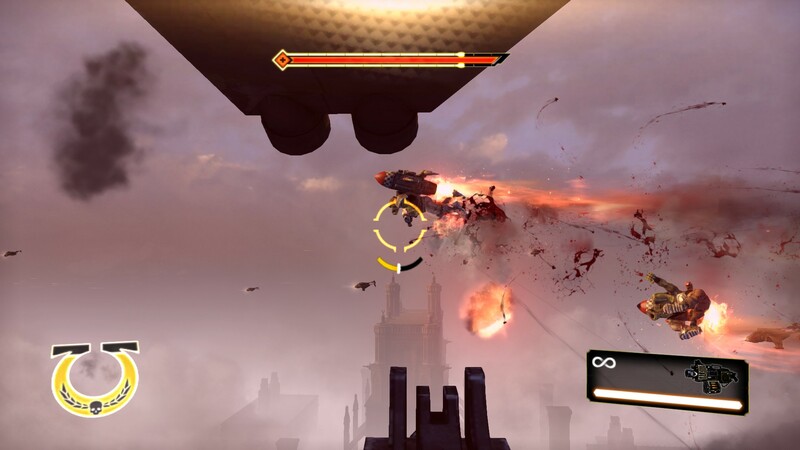 Lastly, assault jet packs are freaking awesome – for those of you who don’t know what those are, they are jet packs that allow you to boost yourself on higher platforms or jump in the air and then come down crushing enemies into a pulp. I have been a fan of Games Workshop, and in particular Warhammer 40k, for almost all my life. Ever since I was a kid, I’ve been in love with it. My local hobby shop has probably taken at least two restraining orders against me considering the number of times I've walked in attempting to sell either my soul or sexual favors in order to get a new box of devastators. 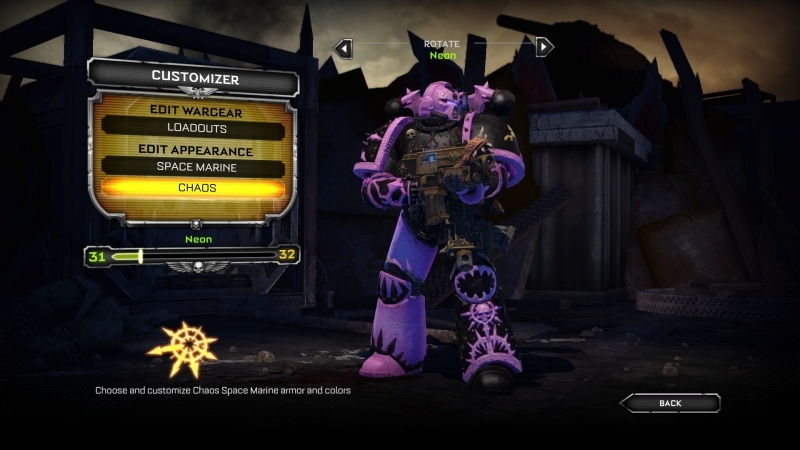 I’ve played every single Warhammer game, and now the time has finally come that I could play as a Space Marine, not control one, but BE one. 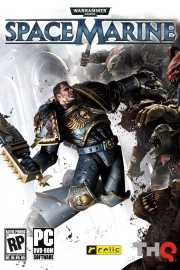 To feel his movements, the lumbering of his armour and the thundering roar of his Bolter. 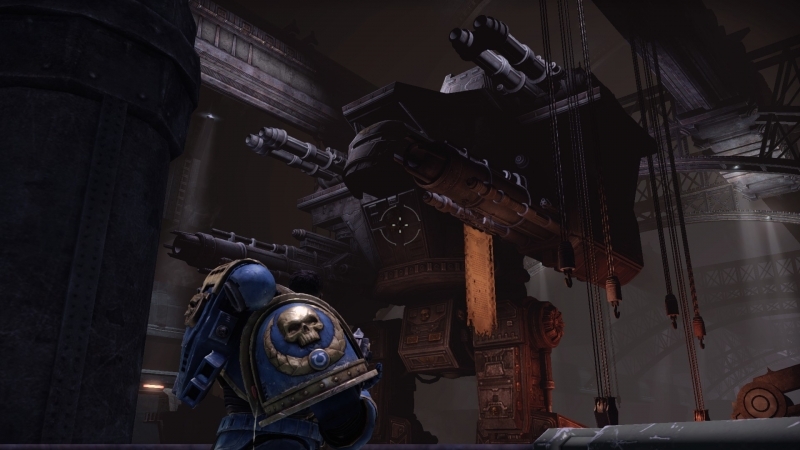 The very first Warhammer 40k shooter (Sit down, Firewarrior. You were crap)! Why am I telling you this? 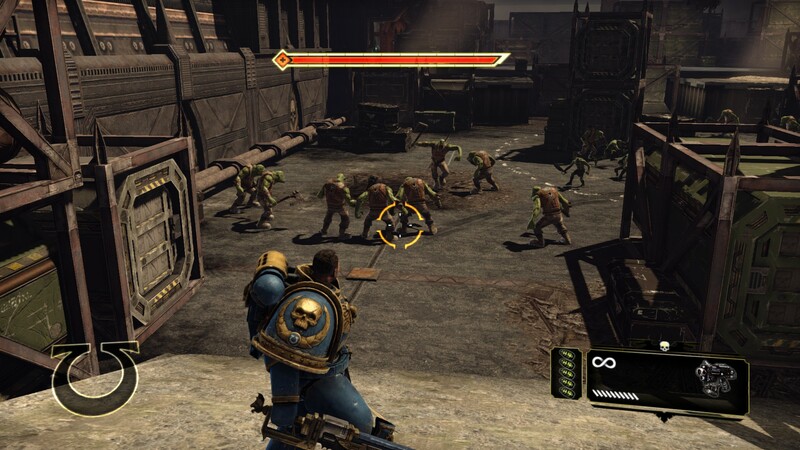 As you have read in our review of the game, there is one major point that affects how one would rate Warhammer 40,000 Space Marine, and it holds true to many other games. Are you a fan of the Universe? 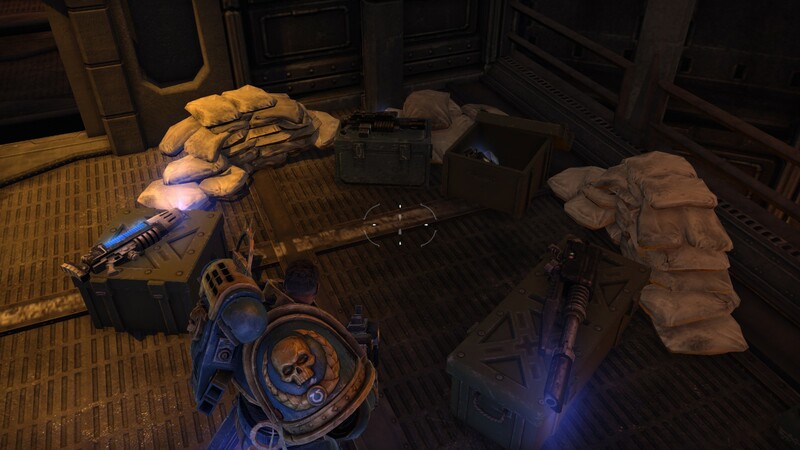 To me, almost no niggling downsides or bland gameplay mechanics could detract from the fact that I felt the movement of my Space Marine to be perfectly as I imagined it. I have a friend. He doesn't play video games. He is by no definition, a gamer. He dislikes FPS games because they make him motion sick. He hates RTS (real time strategy) because they are too confusing. And yet, he is an immense fan of Star Wars, and as such, has played literally every single game set in the Star Wars universe you could think of. ; Battlefront, Jedi Outcast, Empire at War, Knights of the Old Republic, The Old Republic, Republic Commandos. This is what I'm talking about, fans are essentially crazy. I don't care how bad the game was and I am logical enough to deduce that it was quite bad. I still thank the Dark Gods/Emperor daily that I had the chance to play this game. 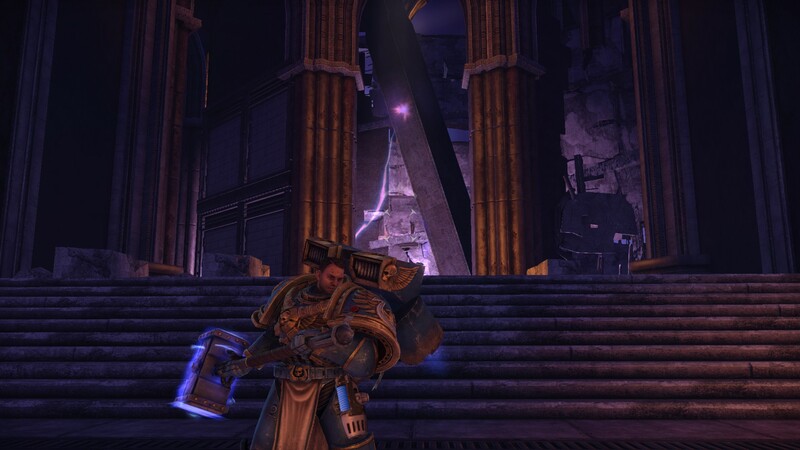 Great game for the fans of Warhammer. 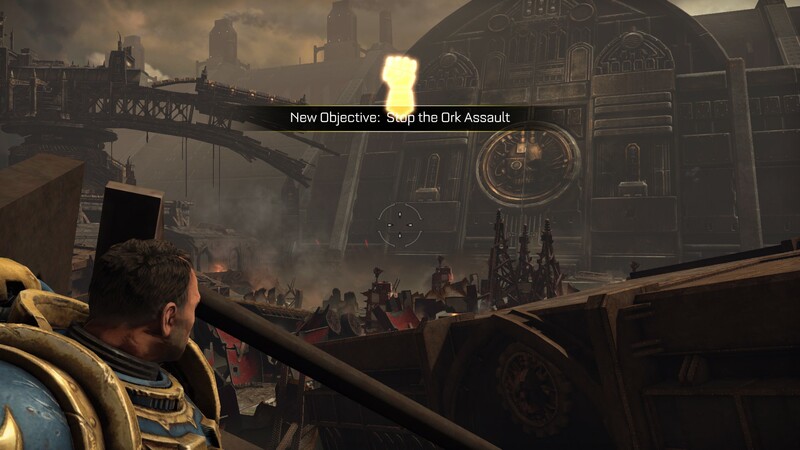 First one to really encapsulate the violence and struggle that the 40K universe is supposed to have. Shame is was linear and that the MP really disappointed. Sorry. This review might be a bit out of date but the author is no longer with us and couldn't fix it. Pretty solid review, but the editing seems to be a bit lacking in this one compared to many of the others I've read.